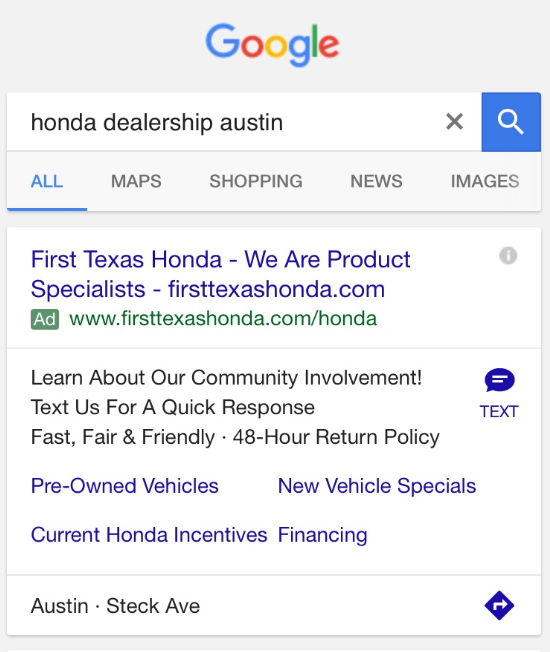 Google is testing a new click to text option in Google AdWords ads that appear on mobile. While some businesses have an option to call, these ones are specific to a text only option, allowing a searcher to text the business instead of phoning. This is also an interesting mobile option for those who like the direct contact but might not have anyone to take phone calls during off hours. And the text responses can also be automated during those off hours too. It was reported previously, but it seemed to be specific to the business texting area, which would make sense. 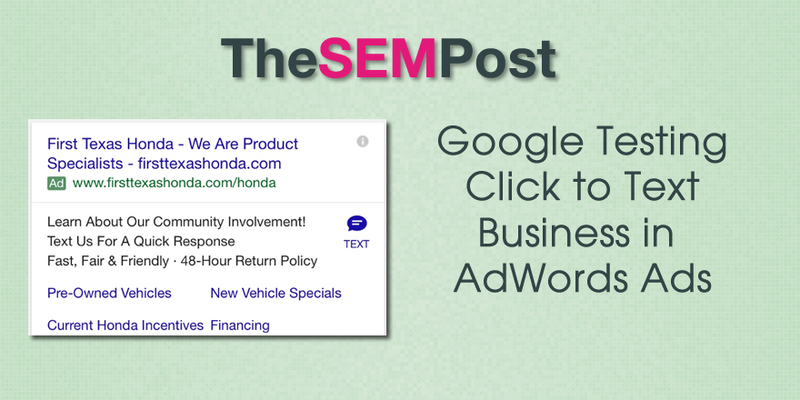 In this case, it is a regular business that is testing this feature.